The dynamic father-son piano duo, Ryan & Ryan, will be tickling the ivories at your McComb/Bruchs Performing Arts Center in Wautoma, WI on Saturday February 9th at 7:00 PM. This performance is made possible by the support of Heid Music, Moose Inn, Pioneer Floral and Greenhouses and Wautoma Kiwanis Club. Ryan & Ryan blends classic and contemporary music into an enthralling concert experience. From Rachmaninoff to Gershwin to Billy Joel, Donald and Barron Ryan combine their talents to create a dazzling blend of old and new schools. The performance will include musical pieces like “Take the ‘A’ Train” by Duke Ellington, “Kickin’ the Clouds Away” by George Gershwin, “Hammerhead” by Carl Sonny Leyland and “Willow, Weep for Me” by Ann Ronell. Donald and Barron Ryan will be conducting two workshops on Friday February 8th with area students. For more information about these workshops, please contact the Executive Director, Josiah, at pac@wautoma.k12.wi.us. Tickets, $32, to Ryan & Ryan are available at the McComb/Bruchs Performing Arts Center located at 514 S. Cambridge St., Wautoma. The box office is staffed two weeks before the performance, 10 a.m. to 2 p.m., beginning Monday, January 28th and four hours before the performance on Saturday February 9th. On top of being open two weeks before a performance, the box office will also be open on Tuesdays, 10 a.m. to 2 p.m., throughout the season. Ask our box office volunteers about adding a dinner ticket to Moose Inn to your purchase for an extra $18 charge. 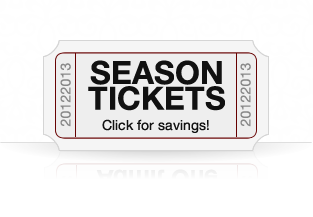 Tickets for any of our performances this season and gift certificates can be ordered anytime by phone at (920) 787-2189 or on our website at www.mccombbruchspac.com. Visa, Discover and MasterCard are accepted. Group and student discounts are available. For more information, follow us on Facebook or Instagram.